Improvements to two local parks were made through the City of Oaks Foundation, thanks to the support of the Harris Family Charitable Fund of the Triangle Community Foundation and Raleigh's Parks, Recreation and Cultural Resources Department. 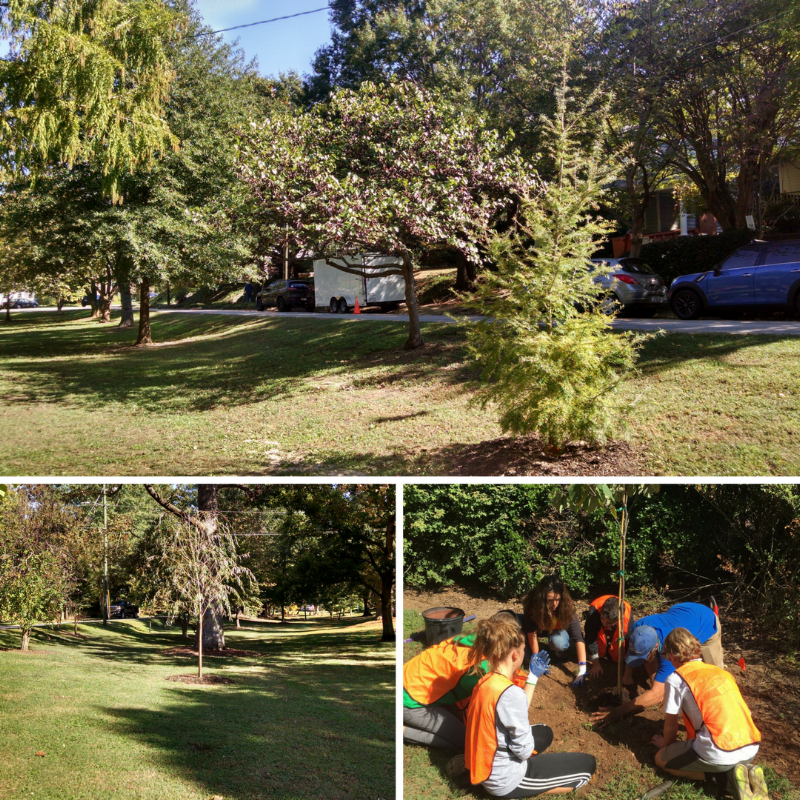 The City of Oaks Foundation used a grant from the Harris Family Charitable Fund of the Triangle Community Foundation to enhance two neighborhood parks. West Park and Roanoke Park are two beloved and much used older parks in the center of Raleigh. Over the years trees have started to age out of West Park and many of the furnishings at Roanoke Park have started to deteriorate. Grant funds were used to update existing furnishings at Roanoke Park and replace lost trees at West Park. All trees were planted with 7th grade volunteers from Exploris Middle School. Staff added an outdoor-quality bulletin board at Roanoke Park for parks volunteers and community members to communicate about events and programs occurring in their park. The Foundation thanks everyone involved for helping us enhance our community parks with these wonderful improvements. Older Post"Drink for a Cause" and support City of Oak's Give Play program!